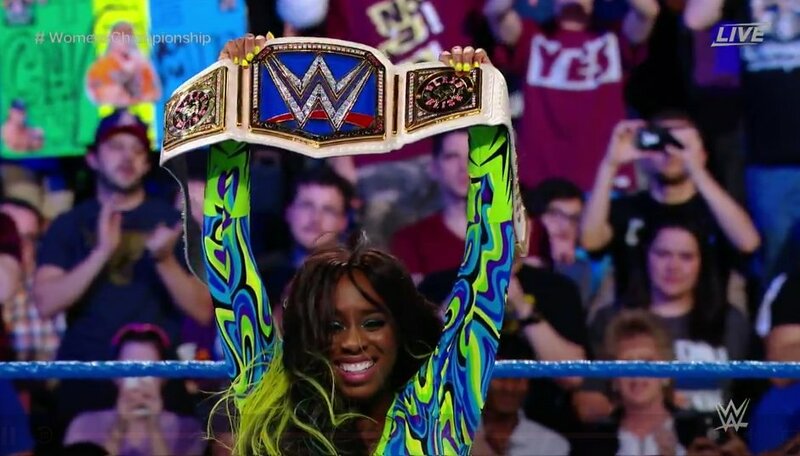 If you, like me, were watching the Grammys, you missed the best thing to happen in the WWE during Black History Month: Naomi defeated Alexa Bliss to become the WWE Smackdown Women's Champion. This is her first main roster title win, although she was the inaugural FCW Divas champion. #FEELtheGLOW!! @NaomiWWE faces the #SDLive Women's Champion @AlexaBliss_WWE NOW on #WWEChamber! Naomi also had something to say after the match. The best part was the crowd turning up for Naomi with a resounding "You Deserve It" chant. Twitter also lit up with props being thrown Naomi's way about her title win. Hopefully she holds onto this title (which we correctly predicted she'd win) for a bit. We'll see you in ORLANDO at @WrestleMania!! If you want to celebrate, cop some new Naomi merch!